“…I will go on the record to say this is the song that could be remembered off this record, long after this record is done. Every record has had a song like that, whether it’s ‘Good Good Father’ or ‘How Great Is Our God,’ something that lasts, and this could be it. I find it very powerful, you sing all these questions and the congregation, wherever you are singing the song, they sing it back to you. This world is broken and messed up and everybody longs for it to be fixed. Another line ‘Is anyone whole?’ I find that to be a very powerful thing because it’s interesting that we run to other broken things to fix our own brokenness. Everybody is hurting, everybody has things that hold us back in life and it’s asking that question of ‘Is there anybody out there who is not broken that I can go to?’ Yes, there is one. This song is one of those that the first time I heard it, it just puts you in your place, not in a derogatory way, but it magnifies the greatness of Jesus so much…” There’s nothing much I can say about Chris’ rendition of Andrew Peterson’s hit song. Though I myself love both versions equally, other listeners and critics aren’t that forgiving, as a few weeks ago, Andrew Peterson had to write a post on his facebook and Instagram outlining how much he supports Chris’ version of the track, and how much he advocates others doing the same- the negative comments about Chris’ version were indeed so bad- at one point Chris was accused of bringing the song into disrepute and shame by CCM-ifying it. I’m not sure where I read the comment, or whether it’s still online anymore, but that was the essence of it. Sort of a ‘if you love Andrew’s version, you cannot like Chris’ one’, and ‘if you love Chris’ one more than Andrew’s, then you aren’t that cultured in music period’. However all of that is water under the bridge, and despite the controversy surrounding the song’s release- I do reckon that it is this song that will transcend borders and go into churches everywhere- “Is He Worthy?” no doubt will be the song of the album, and that’s ok. I’m cool with that, and others need to be too. I think they will after watching the video and listening to the song a few more times though. As Chris uses a simple concept and reiterates to us over and over that Jesus is worthy, we are met with a vulnerable admission of Jesus’ sovereignty, and an implied and inferred sense of devotion to the One who has saved our souls. I reckon the song “Is He Worthy” is probably the most controversial of all of last year. Not because it’s a theologically bad song (it’s actually quite solid, and Andrew Peterson has done a stellar job in fact! ), but rather the controversy comes with Chris Tomlin covering the song. I’ve included part of my review of Holy Roar verbatim up above so that you can check out Andrew Peterson’s thoughts of Chris covering his song and the outcry from fans and listeners alike; however, what I do what to say is this. 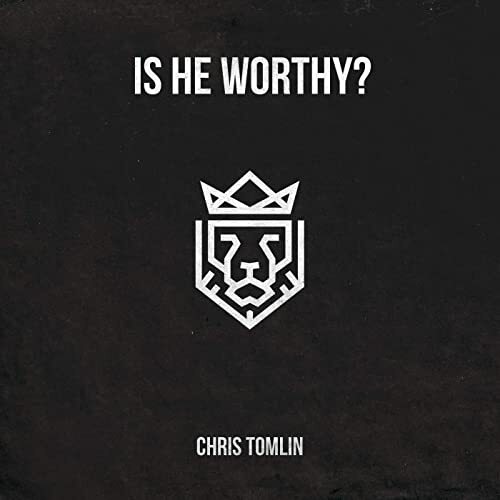 That maybe, quite possibly even more unwarranted controversy could arise from Chris Tomlin’s latest EP Is He Worthy?, which drops today. Comprising of 3 versions of the same song (studio, live and acoustic- with Andrew Peterson as a guest vocal! ), one could say that this release is overkill, and goes to show that wide chasm between Andrew’s original version and any other cover. However, I believe that this EP will serve a purpose in the coming days and weeks and months. One- and that’s to point people to the song (not the artist!) in that the subject matter of worshipping Jesus because He is worthy, is reason enough to sing this song with passion and determination. I reckon songs should transcend the artists singing them, don’t you reckon? And this EP shows me at least, that a song like “Is He Worthy” doesn’t have to be confined to one artist. In fact having one version and one version only may be detrimental to the message of the song. Just my two cents worth. I’m sure you all have heard “Is He Worthy?” at least once this year or last year, right? And you’ve all heard of Chris Tomlin, and/or Andrew Peterson, right? Regardless of your thoughts of Chris’ cover and this EP, I reckon we all should go out into the world and spread this song to others for everyone to hear. The message of Jesus being holy and worthy and all deserving of our praise, is too important for us to stay silent about. So let us take a stand and make a loud shout and sing from the rooftops that our God is alive and is worthy to be praised. And if Chris is the medium, or if Andrew is the medium by which our praise is uttered to everyone and to Him, then so be it!